The continent broke off of Pangaea and sank into the ocean, but there’s still some evidence remaining on at least one island. As I sit here at my desk writing, I am listening to the Longines Symphonette Society’s version of My Favorite Things. You may think this is a hyper-hip new group that one finds on KCRW. But it is not. It is as easy listening as it sounds. It amazes me that I can find such a wealth of easy listening on Spotify. Why would hipsters listen to The Melachrino Strings and Orchestra’s Music for Romance? They may be cool and have beards, bangs, and beanies, but I’m sure even hipsters entertain. And perhaps they would prefer the dulcite tones of Lawrence Welk during dinner rather than STRFKR.On that note, I pulled out some of my favorite records. It’s easy to make fun of the design of these, but is that really fair? Yes, they have sexual overtones and everyone has a doped up rufie and druggy look. But consider the audience. These records were played during dinner or cocktail parties. Perhaps the goal was a swingers type situation with guests. Then they are perfect. Or, one’s date might put one on the hi-fi, turn the lights low, ply a date with alcohol and… Again, the form and content address the message.I will admit, I love the A Man and A Woman cover. Why rethink this perfect vessel? To turn it into a thing of beauty. The Blue Hub is the JRC in-house platform to perform research in the fields of maritime surveillance and Maritime Situational Awareness (MSA). The Blue Hub platform integrates vessel positioning data, contextual information and satellite based imagery to track some 160.000 vessels in real-time. The story of how the Sámi received a report documenting human rights abuses at Standing Rock — and used it to pressure Norway’s largest bank to divest from the Dakota Access pipeline — illustrates how international networks of Indigenous people are challenging the power structure behind the oppression of Indigenous people all around the world. 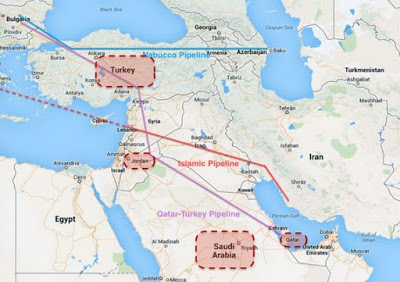 We have been at war in Syria over pipelines since 1949. This is just the next mad phase. More on soft climate denial: acknowledging that climate change is a serious threat but being unwilling to take sufficient steps to combat it.